females are making inroads into these careers. During the early 1980s, only 5% of engineers in the U.S. were women, it’s still currently low, at only 14%. Studies show that only 18-20% of Engineering students enrolled in college are females. For decades girls have been encouraged to study mathematics and science throughout their elementary and secondary years. With this extra emphasis, women are beginning to work in careers that were solely male-led. 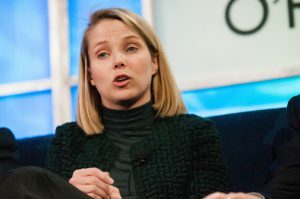 Reasons that have been suggested for low female graduation rates in engineering programs include lack of female engineering role models, misconceptions of what it is like to be an engineer, and having fewer technical problem-solving opportunities through K-12, despite the movement on STEM classes for both genders. The stereotype that links masculinity to technology needs to be broken. One way to do this is with the pink-hard-hat transformation exercise. You take the stereotypical hard hat seen on many construction sites and make it bright pink – fighting a stereotype with a stereotype. Women in Engineering Proactive Network. Association Of Women in Science. Linda Cureton has the coolest job. She's the CIO for NASA. And NASA has all the coolest technology in the world from the fastest computer networks to a bunch of stuff used to conduct experiments in outer space. 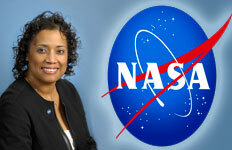 Before she landed at NASA she was a top technologist at other government agencies like the Bureau of Alcohol, Tobacco, and Firearms; Department of Energy; and the Department of Justice. Mayer was employee No. 20 at Google and the company's first female engineer. She helped Google develop its search technologies and worked on a long list of other key products including images, maps, books, news, and the toolbar. She also sits on the board of directors of Walmart. Wang leads the engineering team at Minted, a startup that crowd sources designs for printed paper products like wedding invitations and personal stationary. Padmasree Warrior, Chief Technology & Strategy Officer, Cisco. 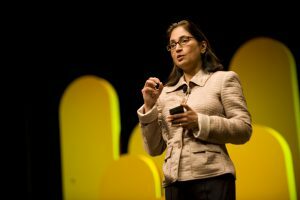 Padmasree Warrior joined Cisco in 2007 and has had a spectacular career so far. 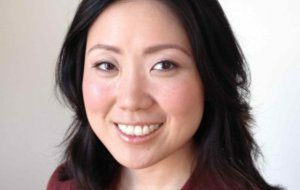 In June, she became the company's chief strategy officer, while still holding on to her tech roots and keeping the CTO title. She was previously co-leader of engineering with Pankaj Patel and before that she was a senior VP of Cisco's Enterprise, Commercial and Small Business group. Warrior joined Cisco in 2007. She was the Chief Technology Officer at Motorola. She's received an armful of awards and accolades so far in her career, and in 2007, was inducted into the Women in Information Technology International Hall of Fame.